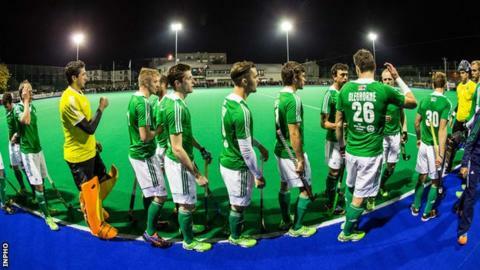 The Ireland men's hockey team will be among the beneficiaries of additional funding from Sport Ireland ahead of their participation in the Olympics. Hockey Ireland's funding has been increased from €423,675 last year to €530,000 in 2016 following successful qualification for the Rio Games. Golf and pentathlon are also to receive significant financial boosts as part of a total package of €27 million. Money will be available to support Olympic and Paralympic training camps. Team Golf Ireland will get €200,000 this year, which will be aimed at supporting individual players trying to make a breakthrough on to the major professional tours. Also included in the funding is money to help attract support for the hosting of a Challenge Tour event in Ireland. In total €10.25m in funding has been announced for investment in high performance sport in the year of the Rio Olympics and Paralympic Games. This summer's Olympics will be the first time in more than 100 years that an Irish hockey team has participated in an Olympic Games.